Systems Connect is a web design company that handles design, development and marketing. We build small to large scale projects with a dedicated team of talented professionals. We'd love to hear about your project and hopefully we'll get to work with you. 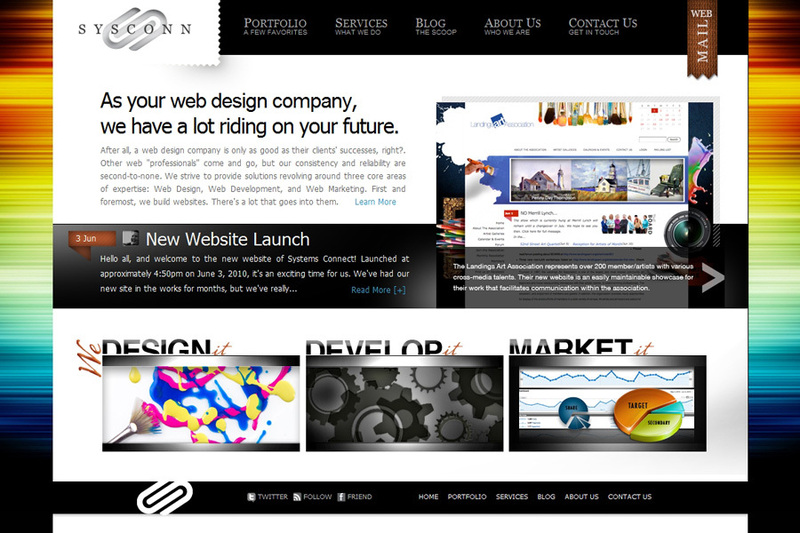 Screenshot of our website sysconn.com.